The sun came out during the storm and ready illuminated the sky! 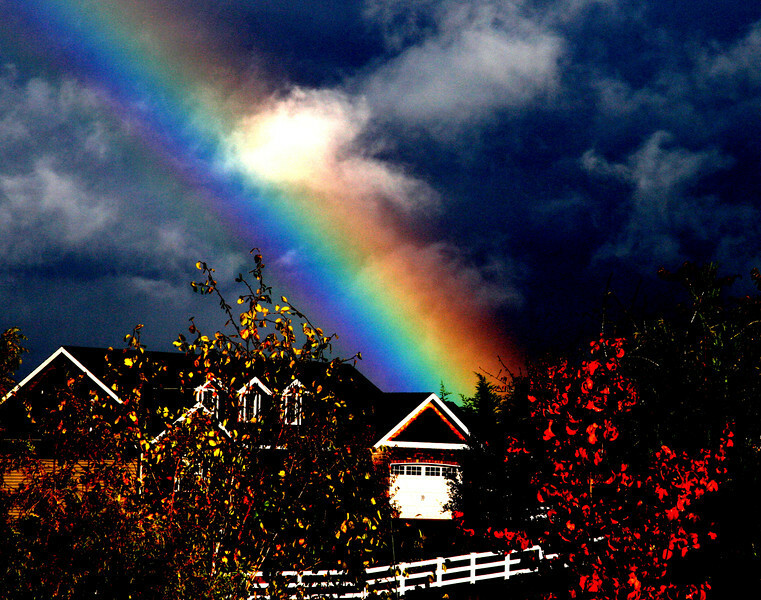 Very nice image of the rainbow. fun pp - i like it! Cool rainbow capture, very bright.